Awesome ride! It goes so fast and is so smooth and i love the view from the top of the chain lift. the theme really fits in with the ride and the different inversions are awesome, my favorites the barrel roll, the 3rd inversion...all around great ride! This is a great coaster. Very intense ride. 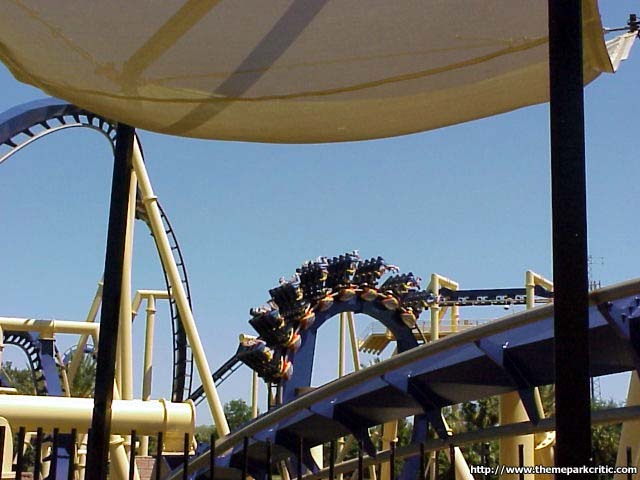 Plus the fact that it is an inverted coaster makes it all that much better to me. 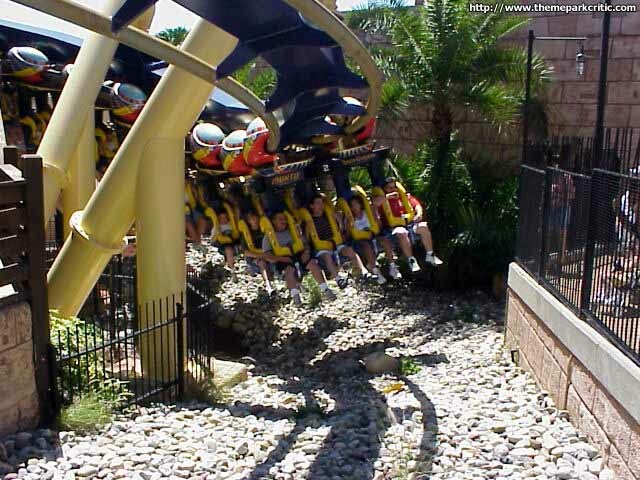 The best inverted rollercoaster in the country. This is by far the best inverted ride I have ever gone on, and one of the best rollercoasters. It is filed with intense inversions, and the tunnels really make you feel like your feet are going to hit them. There is lots of near misses and the bat wing inversion is awesome. 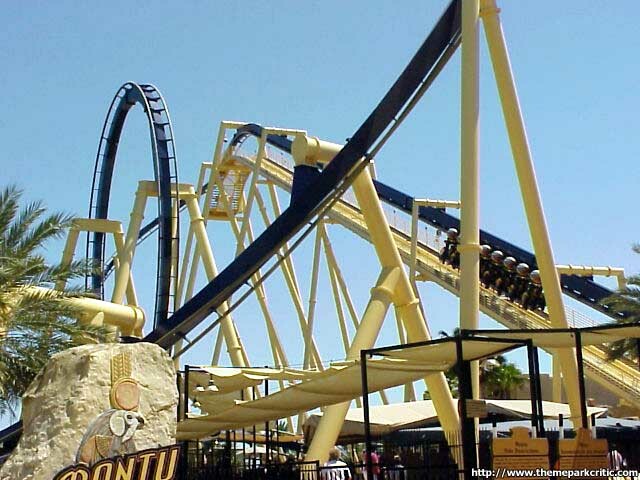 I first rode Montu several years ago. Since then, Ive been on newer rides, but not many that are better. I still think this is one of the better steel loopers on Earth. 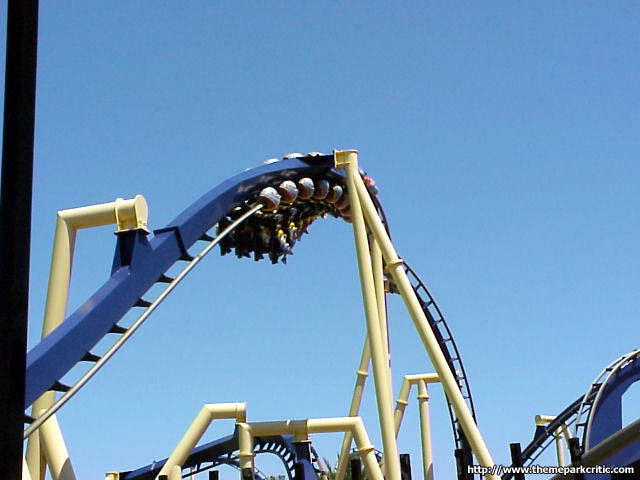 It has seven good inversions, but I think what makes the ride so good is the fact that, after the first big drop, almost the entire ride occurs at low elevation, which helps it keep a great deal of speed and intensity. All those trenches dont hurt the ride, either, and the Batwing double inverison element is one of the most amazingly intense moments Ive experienced on a coaster. The crocodiles are so cute, too! 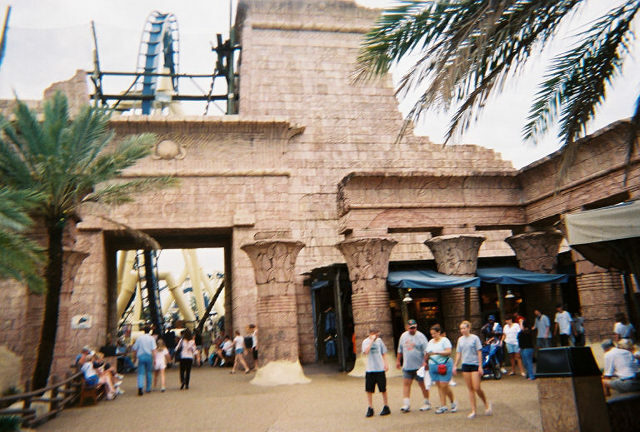 This was actually the first roller coaster that went upside down that I went on. So I suppose I could thank this ride for my love of big roller coasters. 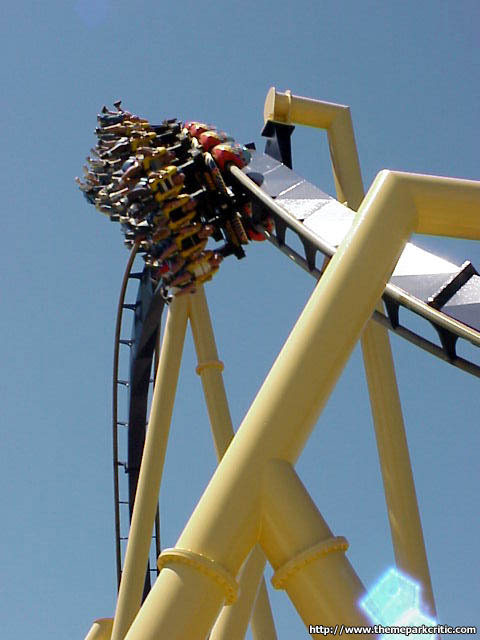 Out of all of the inverted roller coasters, this is one of the best. Its smooth, has a great layout, and its themed more than most big coasters. 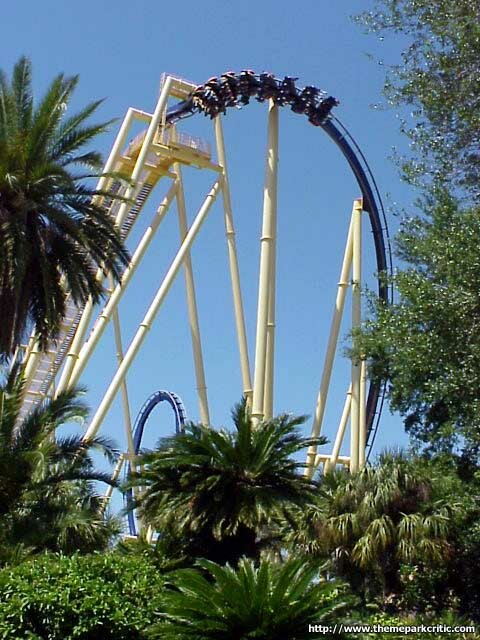 BEST COASTER IN FLORIDA! 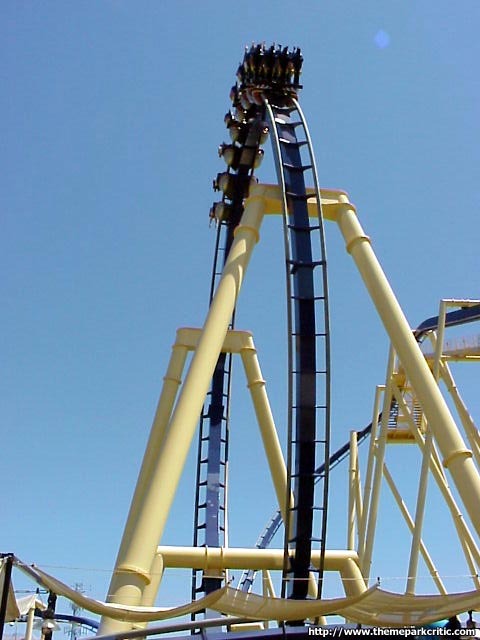 BEST INVERTED COASTER IN THE WORLD! Montu deserves all these titles and more. This coaster is truly phenomenal. 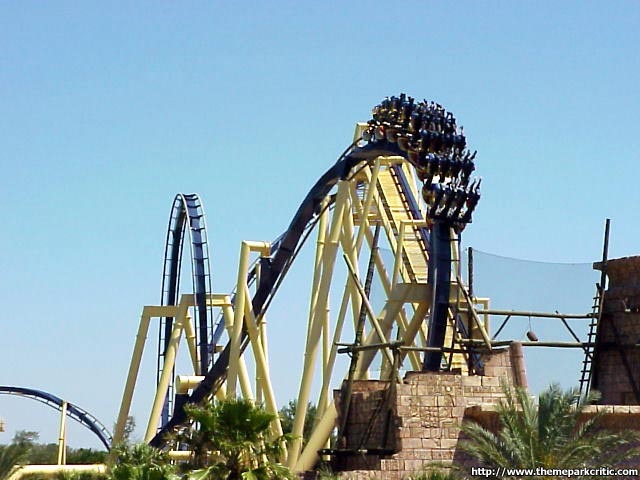 I have never ridden a coaster, and probably never will, that combines power with grace like Montu. Usually people associate powerful with rough, but this is not the case as this is the smoothest looping coaster Ive ever been on. Its like "ballet in the air." 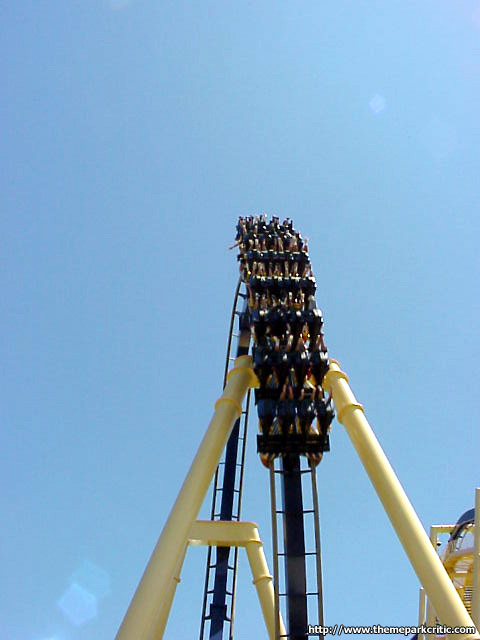 Even with all this said, Montu has a height of 150, a 55 degree descent (curve makes it look straight down), goes 65 mph, and soars through 7 inversions. The first loop is HUGE, reaching a height of 108. The immelman is great out of the tunnel looking like you are soaring through temples and pyramids. Best of all is the batwing with the trench. The trenches add a lot to the ride, making it seem even faster and scarier. 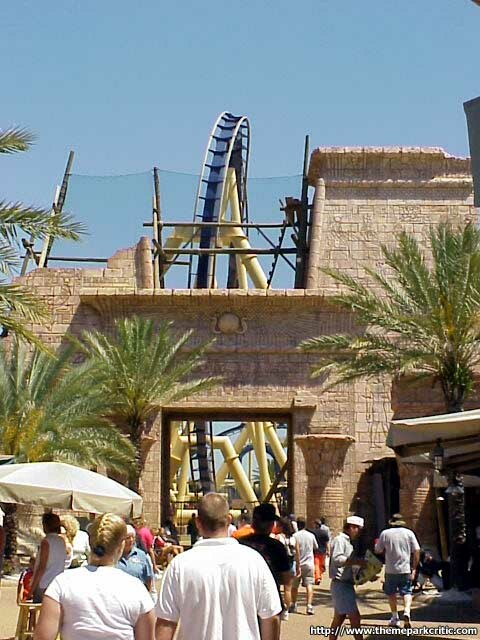 Add this AMAZING ride to simple, but great Egyptian theming, and you get the worlds best looping coaster. The view of the coaster from the top is amazing too with all the palm trees and beautiful track design and support structure. I love Busch Gardens too. Lines arent that bad either. Front seat is the best. This coaster is awesome!!! I rode this 10 times when I visited in October at least once in each row of seats. 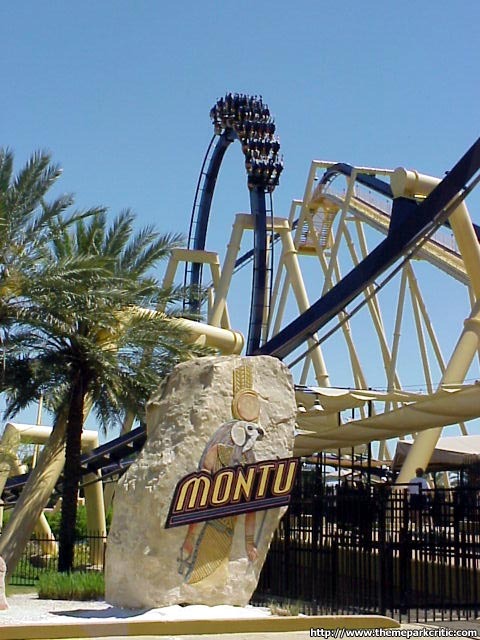 Montu is in my top five now. The track has a great layout and plenty of elements. I was pleasantly surprised that the trim brake in the middle did not ruin the Batwing element. 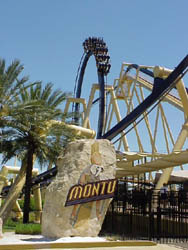 I am not quite ready to rate Montu over Raptor. 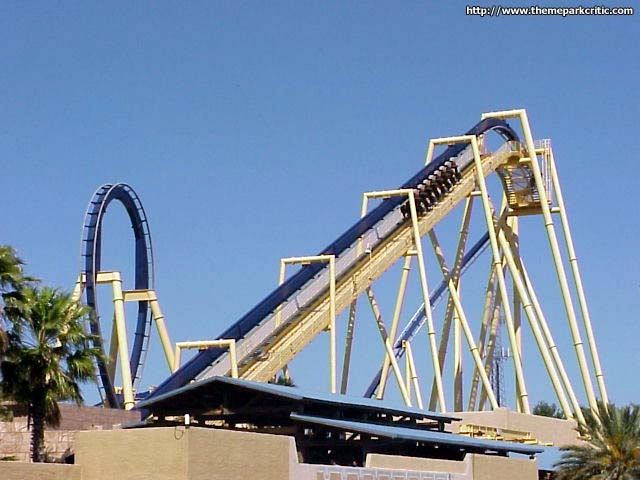 Then again, I have been on Raptor about 30 times, so that this may not be a fair comparison. 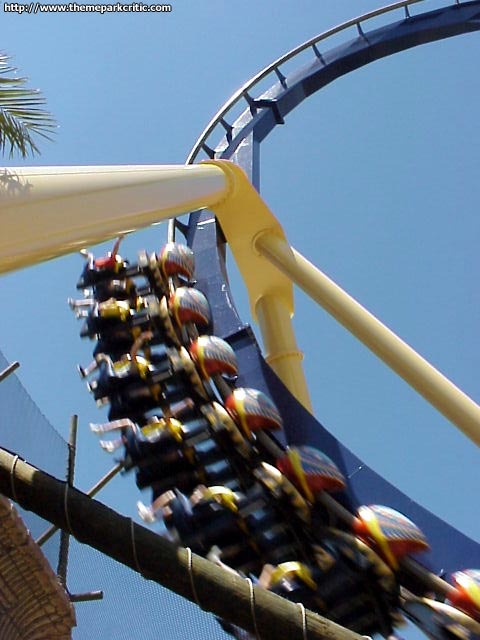 Montu is a marvel of Engineering. It has a beatiful layout, and manages to escape the Lack of theming that most rides of its scale have. 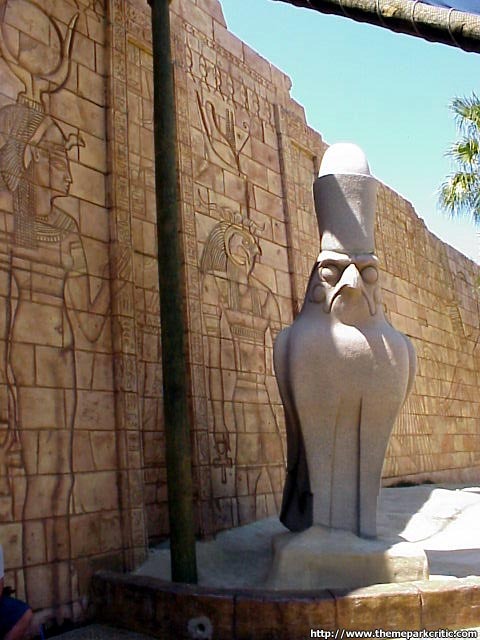 Montu is amazing - It has excellent intensity, a unique layout, very good theming, and it really is a ride you will remember forever. The batwing element is very nice, and so is the loop. The only problem I have with this ride happens to be BGTs fault - over time, they seem to have killed some of its intensity with Trim brakes, especially noticeable just before the Batwing. 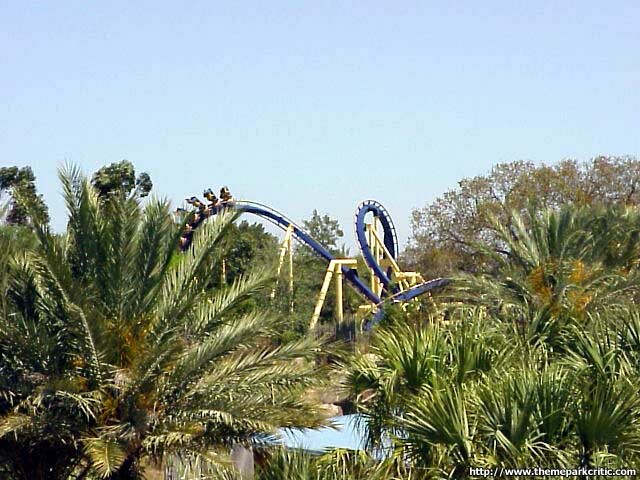 Bottom line though, this ride itself is worth a visit to BGT, and with its cousin Kumba in the same park, BGT is an ABSOLUTE MUST for any thrill seeker visiting Florida. One of the best inverteds around. 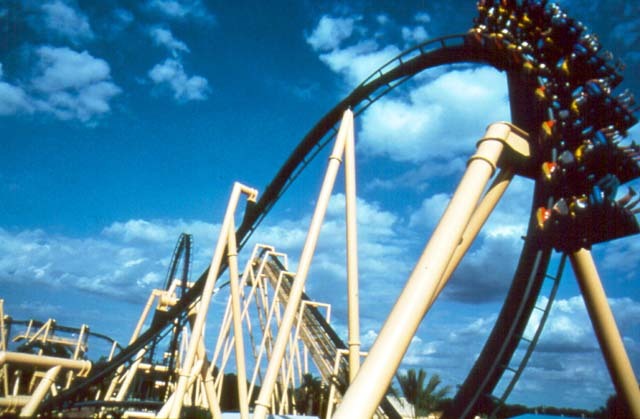 Busch Gardens has never been a company to load their parks with rides, but it is very selective about the quality and design. Wonderful theming. Very thrilling and disorienting track layout.